Mothers and daughters have long provided inspiration for writers. Their complex, multifaceted relationships are like no others. 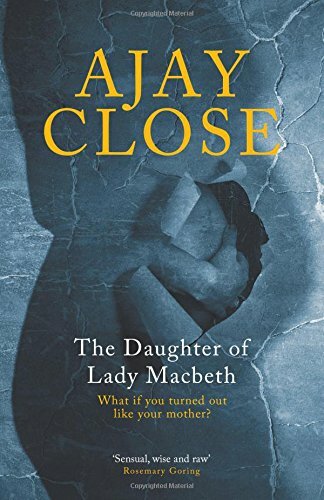 Lilias, a jobbing actress, is the Lady Macbeth of the title in Ajay Close’s fifth novel. Now in her later years, Lilias was a reluctant mother to Freya, who spent her childhood being dumped on friends while Lilias was working, or helping out the landladies in countless theatrical digs. Freya has never known who her father is as Lilias refuses point blank to reveal his identity. It is hard not to be amused by Lilias even as she displays her innate selfishness. She is a narcissist and has a casual relationship with the truth, especially when it comes to her career. The world revolves around Lilias, or it should, and Freya is a bit-player in her mother’s life. Now in her early forties, Freya and her husband, Frankie, are trying to have a baby and are going down the IVF route. It is costly but Frankie is a television sports reporter and Freya is a senior civil servant working for the Scottish government so they have the funds. They sign up with a private clinic out in the glorious Perthshire countryside and Freya is told she must live locally in order to visit the clinic daily. This, she is told, is the secret of their success. Freya sees the photos of dozens of cherubic babies pinned to the walls of the clinic and grudgingly agrees. There is a business-like brutality to the clinic. Vast sums of money are demanded and couples are put on a production line, desperately hoping there is a baby when they reach the end of it. Freya is a fascinating character, seemingly well-adjusted in spite of her peripatetic childhood and hoping to give a child a very different upbringing to her own. She is often the adult in her exchanges with her mother but Lilias can still cut her to the quick with the sharp side of her tongue. Working to create a family gives Freya the impetus to find out more about her own. She decides to look for her father which enrages her mother but Lilias has one more great dramatic role to perform. The past echoes in the present as Freya, unwittingly, seems to be reliving her mother’s life during Lilias’s pregnancy, which is told in vivid flashbacks. Frankie has adored Freya since they were children but the IVF process takes its toll on their marriage. Freya displays some ambivalence about their relationship and her impulsive actions put it at risk. Frankie is also having a mid-life crisis as a younger colleague at work threatens his position, which only adds to the strain on their marriage. Close is exploring important matters; nature and artifice, mothers and daughters, husbands and wives, loyalty and betrayal. Her prose, as usual, is beautifully polished but this is her most emotional novel to date and is partly inspired by her own experiences. As a picture of a marriage crumbling under pressure it is melancholy and all too genuine. However, it is the rounded and byzantine relationship between Freya and Lilias that lingers long in the mind.